Students will demonstrate the ability to design a system, component, or process to meet desired needs within realistic constraints such as economic, environmental, social, political, ethical, health and safety, manufacturability, and sustainability. Students will demonstrate the ability to communicate effectively both orally and in writing. Students will demonstrate the broad education necessary to understand the impact of engineering solutions in a global, economic, environmental, and societal context. Students will recognize the need for, and have the ability to engage in life-long learning. Students will show that they are knowledgeable of contemporary issues. A major map is a layout of required courses in a given program of study, including critical courses and suggested course sequences to ensure a clear path to graduation. 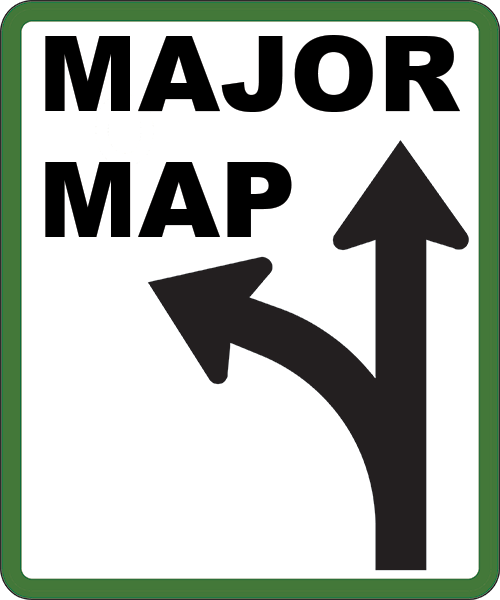 Major maps are only a suggested or recommended sequence of courses required in a program of study. Please contact your academic advisor for assistance in the application of specific coursework to a program of study and course selection and planning for upcoming semesters. See College of Engineering and Computing for entrance requirements, progression requirements, and special academic opportunities. In addition to the general education requirements of the College of Engineering and Computing, a grade of C or better is required in MATH 374 and all CSCE courses applied to the degree. All required CSCE courses and courses taken as major electives are major courses and may not be counted toward a minor or application area. All other required courses and electives may be used for a minor or application area as appropriate. CSCE 101 and CSCE 102 are not major courses and may not be used for major credit. Score two or better on foreign language placement test; or complete the 109 and 110 courses in FREN, GERM, LATN or SPAN; or complete the 121 course in another foreign language. Other approved CSCE courses numbered 510 and higher. See the College of Engineering and Computing section of this bulletin for entrance requirements and special academic opportunities. The Computer Engineering B.S.E. program requires that a grade of “C” or better be earned in each of the following courses: ENGL 101 , ENGL 102 , MATH 141 , MATH 142 , MATH 374 , PHYS 211 , PHYS 211L , and all CSCE courses applied to the degree. Major GPA requirement policies are described in the College of Engineering and Computing section of this bulletin. For the purpose of these policies, the following courses are used to determine the Major GPA for the Computer Engineering B.S.E. program: all Lower Division Computing, Computer Engineering Major, Computer Engineering Electives, Electrical Engineering Cognate courses, and CSCE 390 . No Lower Division Computing, Computer Engineering Major, or Computer Engineering Elective course may be counted toward a minor. All other required courses and electives may be used for a minor as appropriate. CSCE 101 and CSCE 102 are not major courses and may not be used for degree credit.